By 22shotz. Donations go to BIG BROTHERS BIG SISTERS OF ME. Minimum donation is $4. Any amount above $4 is tax-deductible. 100% of project revenue goes to BIG BROTHERS BIG SISTERS OF ME. 22shotz will be notified of your name and donation amount. I recorded these songs to provide a positive musical alternative in hip hop. The songs give voice to many of the frustrations our youth experience (poverty, bullying, rampant violence around the country, flawed education system and so on). Songs like "Chosen Path" have a beautiful melody and lyrics of substance. The creativity does not end there. 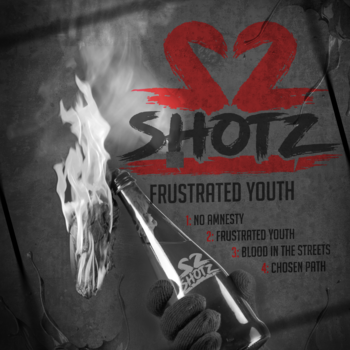 Each song packs its own unique punch and delivers a quality sound that will leave listeners demanding more from 22shotz!